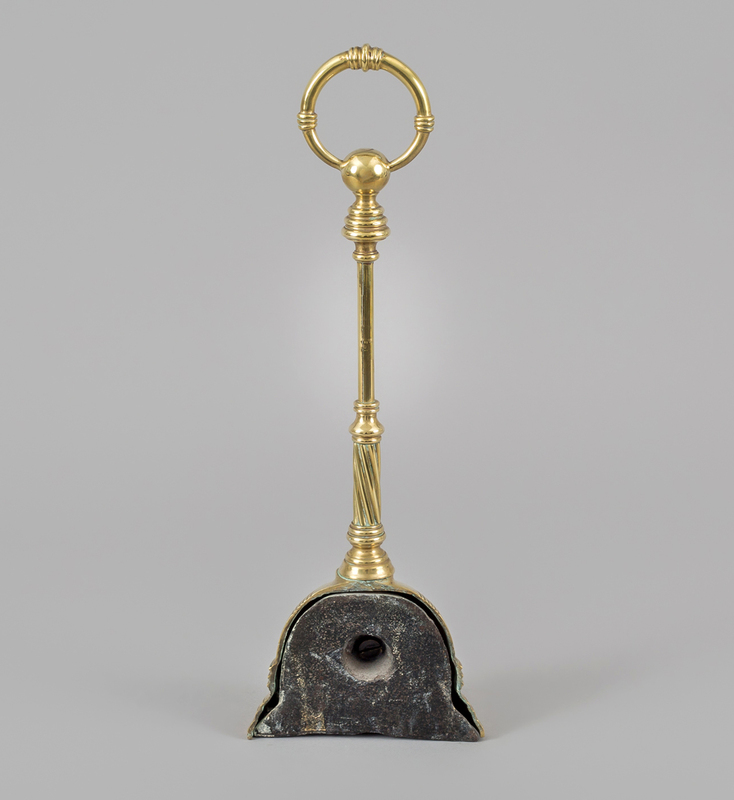 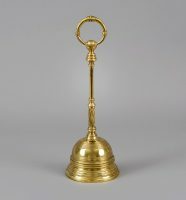 Brass doorstop with bell shape and long ring turned handle . The base is leaded for weight. 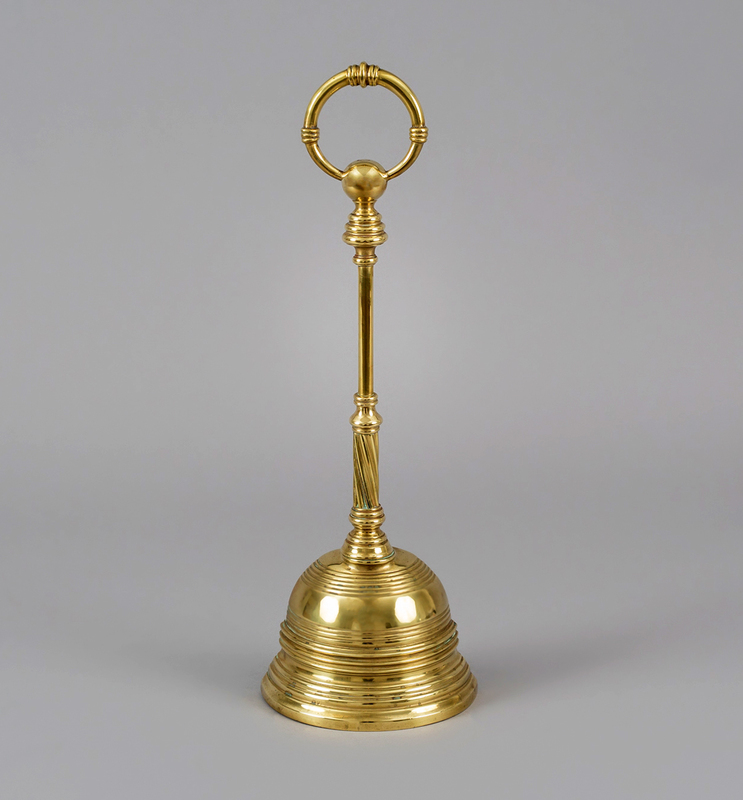 height: 16.5" | Width" 5.5" | Depth: 2.75"